I created this as a silly pun for both April's Fools or to be used during Better Hearing and Speech Month. This freebie contains three activities. The first allows you to transform a jumbo mint box into a dice dispenser. I used bakeable clay to make "mints" and used Sharpie marker to put a number and dots on each. Simply shake out a mint to find out how many times to say your word and/or how many mints to color on the reinforcement sheet. 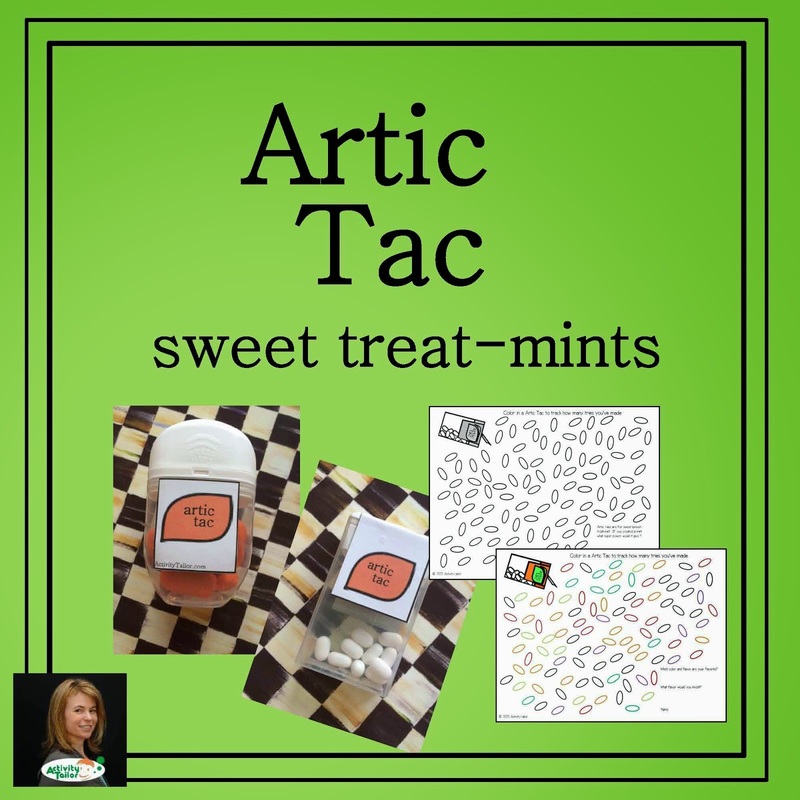 The second set of stickers can be used to make prizes, promos or gifts of Artic Tacs for your students. Finally, I have two reinforcement sheets (1 color, 1 b&w) to use as a no prep activity when the end of the year gets hectic! Click here to pick up your copy and please consider leaving feedback or following. Enjoy!